Jimmy Kimmel Receives 2017 Emmy Nomination for Outstanding Variety Talk Series | Jimmy Kimmel Live! 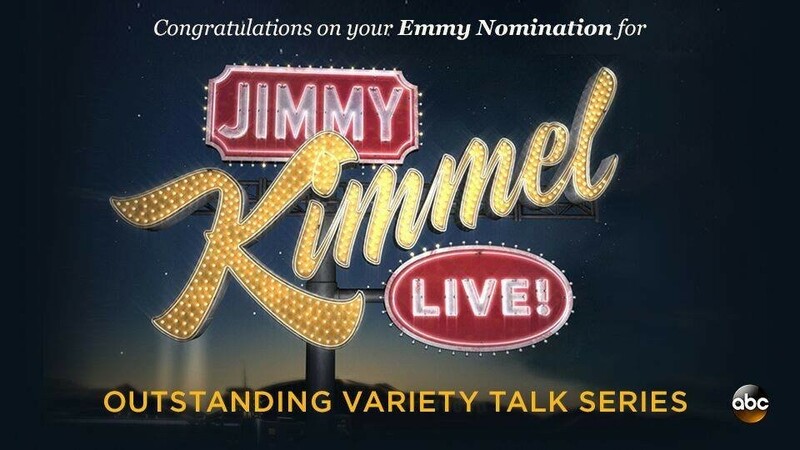 Congratulations to Jimmy Kimmel Live for its 2017 Emmy nominations for Outstanding Variety Talk Series, Outstanding Original Music and Lyrics and Outstanding Directing for A Variety Series. Jimmy Kimmel Live features a diverse lineup of guests that include celebrities, athletes, musical acts, comedians and human interest subjects, along with comedy bits and a house band.